A lot can happen in 365 days. A lot. 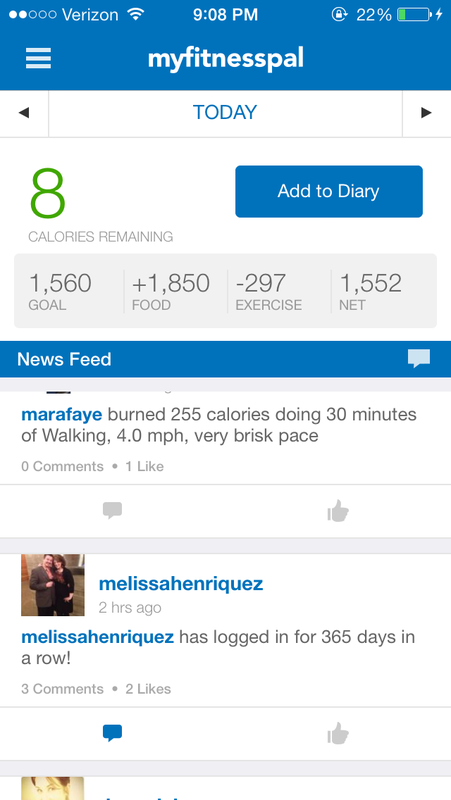 And while my life has been a wild ride the past 365 days (pregnancy, trips to Jamaica and Jersey, moving drama, potty-training a toddler, giving birth, figuring out this mom-of-two business), one thing has remained constant: I’ve journaled at MyFitnessPal every.single.day.